What Do I Bring? | Knit Like You Mean It. 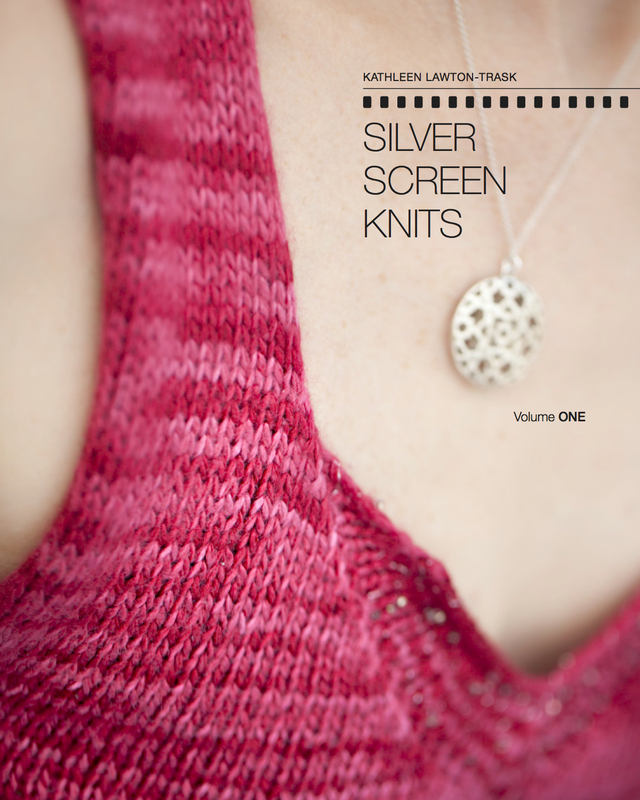 I’m getting ready for the v-neck sweater class this Sunday (pattern by Stefanie Japel! if you’ve knit the beanie, you can knit this! a few spaces still available!) and thinking about how to teach top-down sweater construction (conceptually revolutionary but fundamentally simple) and what items students may forget to bring. For the most part, students bring along lots of great stuff: stitch markers, circular needles (they better bring those), row counters. We need all these things. [Several of them bring scissors, which is helpful to me since I seem to be a Scissors Black Hole. It doesn’t matter how many you give me; I hide them all and ask for more. Forewarned is forearmed.] And, of course, yarn (glorious yarn). One of the biggest challenges I find in teaching is giving my students a sense of confidence. Some people knit along happily, undisturbed by mistakes, certain that it will all work out fine. Some people are too scared to try in the first place (I don’t see a lot of those folks). Most of us are somewhere in the middle. We don’t like to make mistakes, but we know it won’t kill us. We like to understand things, though, and when we don’t understand what we’re about to do it bugs us. We few, we happy few, we band of knitting intellectualizers. Knitting with confidence, after the jump. There’s a whole group of us out there, freezing up when we get to something we don’t understand (“how am I casting on only 23 stitches when it’s supposed to be a whole sweater? how are these eight stitches going to turn into a sleeve, for God’s sake?!? ), turning the yarn we purchased for an overwhelming project into something else (I made a lot of socks this way). Now, sometimes this is appropriate: the pattern is too hard, or mis-written, or we just don’t want the dang hat any more, not if it means all this heartache, thank you very much. But often, for me anyway, all I need to do is step out on the ledge and try the technique. A top-down sweater looks like nothing in this world until you divide for the arms. When you divide, suddenly you can see how the sweater comes together, and within a few rows you can try it on. Until then, though, a lot of us cerebral knitters can’t tell what the heck is going on, assume it’s our fault, and give up. 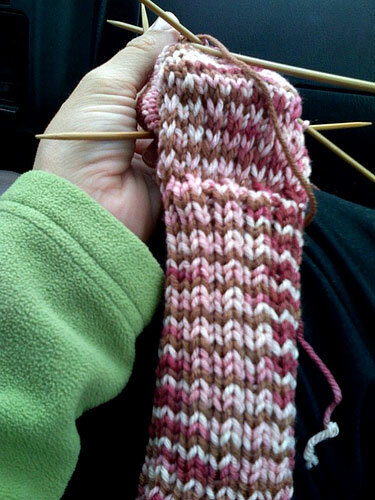 Similar with SSP, a lovely but awkward decrease: I didn’t know my needles could move that way until I tried. But once I’ve experienced these new techniques I’m jazzed: something my mind couldn’t comprehend! But it works! So what does that mean you need to bring with you to my sweater class on Sunday? An open mind and the willingness to forge on, even when nothing makes sense. A good skill for other parts of life, as well.